F.C.C. TSR Honda France dominated the first day of pre-testing for the 24 Heures Motos at Le Mans. Despite the rain, 50 of the 60 teams entered for the second round of the FIM EWC were on the Bugatti circuit. Rain caused a fair amount of havoc at Le Mans today as the FIM EWC players made their much-awaited return. Even so, 50 of the teams that will be competing at Le Mans on 21 and 22 April had a very intense day on the track. F.C.C. TSR Honda France’s Freddy Foray, Alan Techer and Josh Hook got the upper hand on the rain-soaked Bugatti circuit. The Bridgestone-shod Japanese team was quicker than Czech squad Mercury Racing, also equipped with Bridgestone tyres. Mercury Racing is the new incarnation of IV Racing BMW CSEU, the team that was 5th past the finish line at the 2017 Bol d’Or 2017. With a current line-up composed of Karel Hanika, Jakub Smrz and Sylvain Barrier, the team is a serious contender for the podium. Reigning world champion and 2017 Bol d’Or winner GMT94 Yamaha (Dunlop) posted the day’s third-fastest time, thereby confirming its goal of a fresh win. 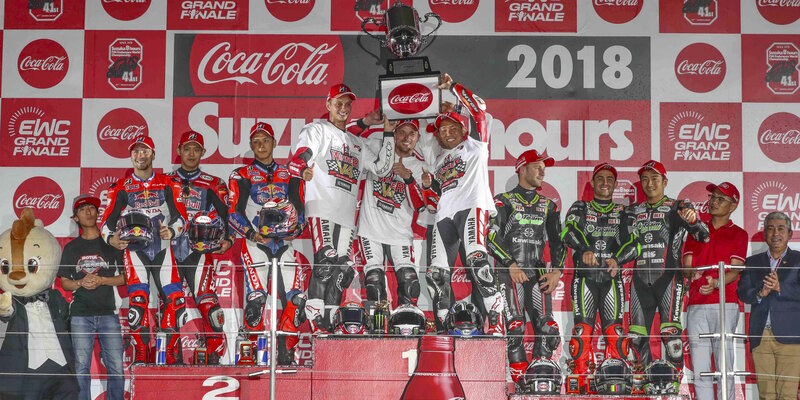 The factory-backed French team was ahead of another official Yamaha, YART (Bridgestone) as well as Suzuki Endurance Racing Team and Honda Endurance Racing, both using Dunlop. Another preliminary test is scheduled for tomorrow (Wednesday) on the Bugatti circuit. 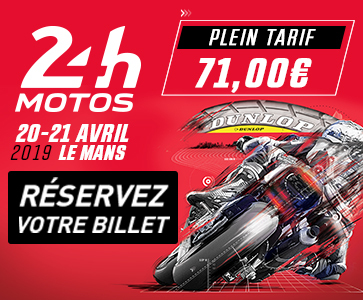 The first official tests of the 24 Heures Motos will take place on Thursday 19 April.